Manhattan District Attorney Cyrus R. Vance, Jr., today announced the indictment of TIMOTHY SAMMONS, 61, an art broker, for stealing millions of dollars through a scheme involving the sale of valuable artwork. 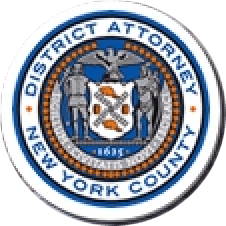 The defendant is charged in a New York State Supreme Court indictment with Grand Larceny in the First and Second Degrees, as well as Scheme to Defraud in the First Degree. According to the indictment and documents filed in court, between 2010 and 2015, SAMMONS, an art broker who operated businesses in London and New York, brokered the sale of multiple pieces of artwork on behalf of his clients at auctions and private sales, but failed to turn over the corresponding proceeds of those sales to the owners. In many cases, SAMMONS misled his victims about the timing of the sales or failed entirely to inform them that their artwork had been purchased. When victims inquired about the status of their artwork, the defendant responded by asking them to be patient or ignored them entirely when they demanded the return of their artwork. In some instances, SAMMONS used the proceeds from the sale of artwork owned by one victim to pay debts owed to other victims. The defendant also used victims’ artwork as collateral to obtain personal loans from a financing company based in New York, and when SAMMONS failed to repay these debts, many of the works were sold at discounted prices. In total, SAMMONS stole tens of millions of dollars from victims in the U.S., U.K., and New Zealand through the scheme, which involved multiple pieces of famous art including “Buste de Femme” by Pablo Picasso, “Reverie” by Marc Chagall, and “Calanque de Canoubier” (Pointe de Bamer) by Paul Signac, among others. Assistant District Attorney Kevin Wilson is handling the prosecution of the case under the supervision of Assistant District Attorney Julieta V. Lozano, Deputy Chief of the Major Economic Crimes Bureau, Assistant District Attorney Christopher Conroy, Chief of the Major Economic Crimes Bureau, and Executive Assistant District Attorney Michael Sachs, Chief of the Investigation Division. Investigative Analyst Annie Wattenmaker, Senior Investigator Matthew Winters, and Deputy Chief Investigator Jonathan Reid also assisted with the investigation. District Attorney Vance also thanked the City of London Police, and in particular, Detective Sergeant Ian Kellaway, for their assistance with the investigation.